Calling all vinyl collectors! Wild Bill is opening his crates for you to come dig out your favorite old school records. Come hear Wild Bill spin his old school collection of albums on the ones and twos. 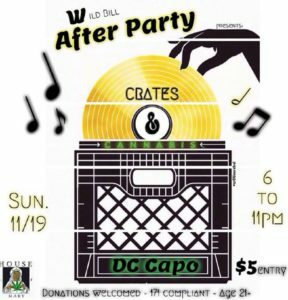 A night for Crates and Cannabis🔥🌱! A large selection of viynls will be available to purchase.